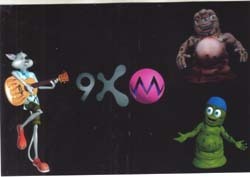 MUMBAI: ‘No blah blah‘ seems to be the mantra of the soon-to-be launched music channel 9XM from INX Media. The channel which has its core TG between 16-20 years dawns a very unconventional look. Instead of resorting to the VJs, the channel has created its own animated characters who will read and speak out the mind of these college going students who form the TG. The three animated characters Bheegi Billi, Bade Chote and Beetels have one thing in common: they hate their teachers.They will crack jokes throughout and personify various attitudes of the youth. Giving a sneak peek of the channels‘ first look, INX Media head of music entertainment channels Vikas Varma said, "Our aim was to make the channel look different, even while playing the songs that are also run on other channels." The animated flesh and bones will be there on the channel throughout the day and will appear regularly between the songs. Varma added, "The channel reflects the ‘I Don‘t Give a Damn‘ attitude to viewers through their cool jokes, songs and sense of humour. Moreover, these animated characters are just apt for the channels as they never grow old unlike the real VJs," added Verma. Not just that, the new look also includes a ticker which will keep rolling on the screen to provide latest happenings from Bollywood. 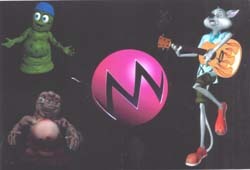 Other animated creatures will appear during the song to provide special comments on the songs. With a tagline of ‘Haq Se‘ the new music channel claims to have got its library chock a block with latest Hindi songs. A list of latest songs was further filtered to 500 with the help of research. In order to relate with their TG better, the channel will also have a retro section which will play Bollywood songs that are at least four years older. Speaking about the programming and scheduling Varma said, "Its all about placing the songs right. All the music that we will play has been researched and the most highly rated song will have the maximum rotation." The channel boasts of 100 per cent music throughout the day without any non music programme. Few of them are Bakwas Shuru Kar, Chote Ke Fundae, Rock N Roll Billi, King Khan Superstar, Phata Poster, Dilli Ka Badla and Who Wants To Know, among others. "There is a dearth of music in other channels. We would be playing around 10 songs every hour. All of them will be full songs," added Varma. What is 9XM‘s plan to woo the tech savvy youth? Will there be any extension of their content on digital platforms? "We have done the necessary tie ups to make our content available on mobile and internet. We will also rollout an online community for a better interactivity with our core TG," said Varma. The website which is already operational, will become even more interactive after the channel is launched. "I don‘t think a true cult thing should be promoted conventionally. We want people to sample our product and pick it up slowly," said Varma.